Zilliqa has been gaining traction over the last weeks and for good reason. The team behind the Zilliqa platform has set out to create the fastest, fully decentralized blockchain platform in the industry. As stated on the official Zilliqa website, Zilliqa is the next-gen high throughput blockchain platform. 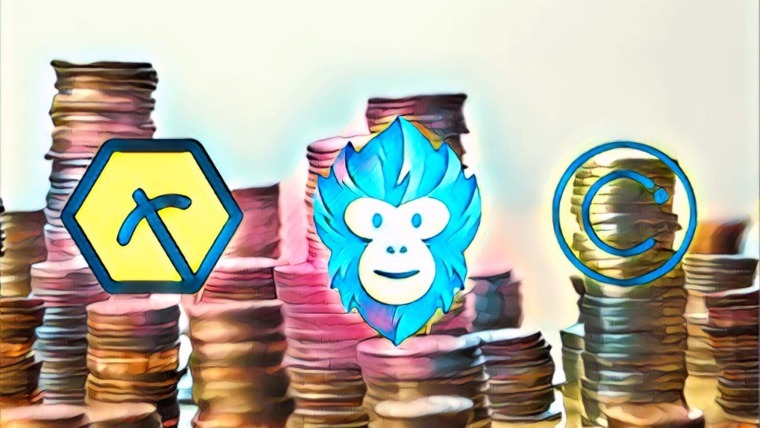 They aim to become a serious competitor to Ethereum, allowing for the deployment of smart contracts and dapps on their platform. The key difference is that Zilliqa will have a much higher transaction throughput at lower cost than Ethereum and many other blockchain platforms. In this article, we take a look at the Zilliqa project and highlight the key features that have caused recent investor enthusiasm. If Zilliqa manages to launch its platform as it is envisioned, it will be one of the first blockchains that has solved the scalability problem without having to sacrifice decentralization. Scalability remains a big issue for blockchains. 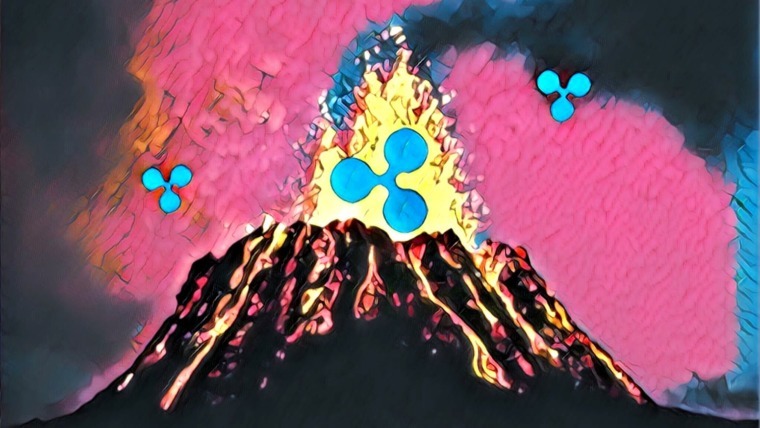 The first scalability issues that come to mind are the ones faced by Bitcoin in late 2017, and the network congestion on Ethereum due to the simple yet highly popular CryptoKitties dapp. While those two are the most-known cases, many other blockchains are struggling with similar scalability issues. At the core of these scalability issues are the nodes employed by blockchains. Nodes verify transactions and secure the network. The problem with nodes is that the more there are in a network, the harder it becomes to agree on transactions; thus it becomes harder to reach consensus. For most blockchains, the development teams have tried to solve the scalability issues with a whole array of solutions such as side-chains and masternodes. However, most of these solutions come with new disadvantages; most prevalent being the sacrifice of full decentralization. Zilliqa solves the scalability problem directly on its blockchain by employing an entirely new technological solution while remaining fully decentralized. To prevent scalability issues, Zilliqa uses a method called sharding. Sharding is a type of database partitioning — it breaks down databases into smaller, faster, and more easily manageable parts called data shards. These data shards are thus fractions of a database, meaning that the data shards only contain fractions of the information. Therefore the shards are meaningless in themselves; their content is only valuable when put together. Sharding also allows for all data shards to be stored across multiple servers. In the case of Zilliqa, sharding is used to divide all the work of verifying transactions and securing the network across the network. The verification of transactions is done by a group consisting of a maximum 600 nodes, called a shard. Whenever the threshold of 600 nodes is reached, a new shard is created. If there are, for instance, 4,200 active nodes, there would be 7 shards. In this case, every shard handles 1/7, or 14.3%, of the total network transactions. All transactions that are verified by a shard are packed into a microblock. Then the microblocks of each shard are added together (7 microblocks, going by our example) based on a process called DS Epoch. Once these microblocks are added together, they form one block that is added to the Zilliqa blockchain. Thus, Zilliqa’s sharding distributes the work among the network, and once the work is done it’s all put together. What’s great about sharding is that it enables the network to become faster with new entrants, instead of slower. The more users the Zilliqa network attracts, the more transactions the network can process at an increasingly faster rate. With every 600 new nodes, the transaction throughput of the network increases. In theory, there is no limit to the number of transactions per second the Zilliqa blockchain can handle, if the number of nodes keeps increasing. For now, Zilliqa has already achieved 2,488 transactions per second on their testnet — a number that greatly exceeds that of Bitcoin and Ethereum. How Zilliqa solves the scalability issue is a great first step. However, the platform needs to be used before it becomes anything of real value. Zilliqa’s use case is that it will become a smart contract and dapp platform. In this regard, the platform’s sharding method is a constraint, as it requires an extreme amount of communication between the different shards to let a dapp run as intended. Because of this, the platform initially only supports smart contracts that are created for functional programming and data flows. According to the team, this will change in the near future. In order to be able to employ smart contracts on the sharding-based Zilliqa platform, the team has created a new programming language. This programming language is called Scilla and has been created to make functional programming more secure and standardized. The application of this new language is quite technical, but it basically comes down to a programming language that understands how to separate the computational work of a contract (state) from the communicative aspect of a contract (function). The Zilliqa team has stated that their blockchain will be able to handle the above mentioned transaction throughput without sacrificing decentralization. 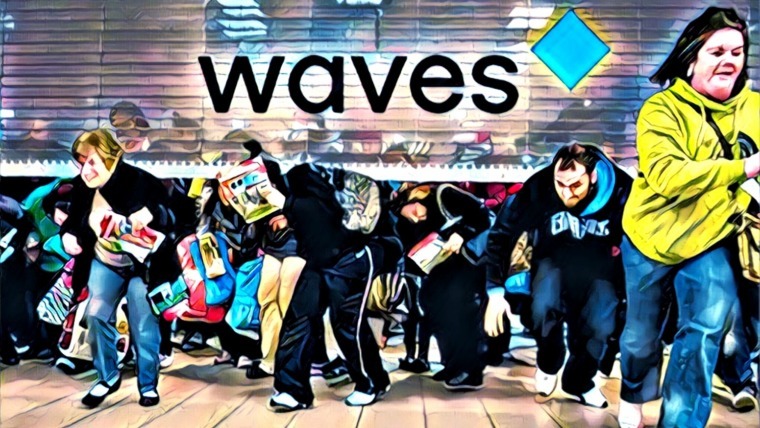 They are able to do this because of their unique, hybrid consensus algorithm. It is hybrid because it mixes Proof-of-Work with Practical Byzantine Fault Tolerance consensus. Proof-of-Work is used to prove the identity of nodes, and once this is done a node is assigned a shard. Following this, the shard (600 nodes) finds consensus within itself to reach consensus for the microblock, and then with the other shards for the final block through the Practical Byzantine Fault Tolerance algorithm. 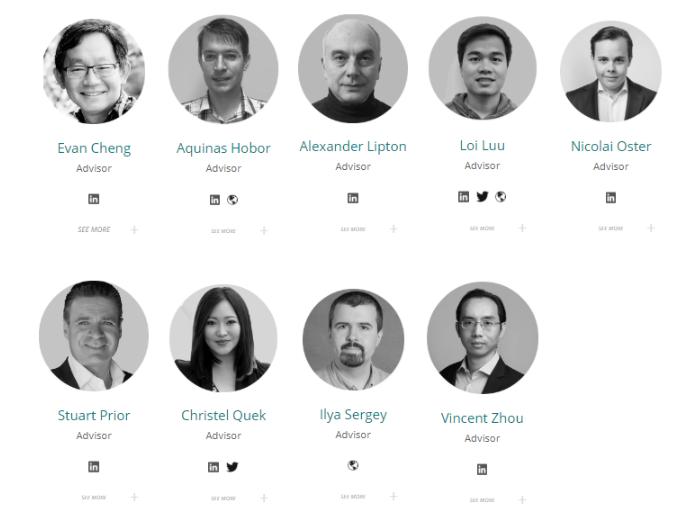 If it’s PhDs you want, Zilliqa’s team has them. 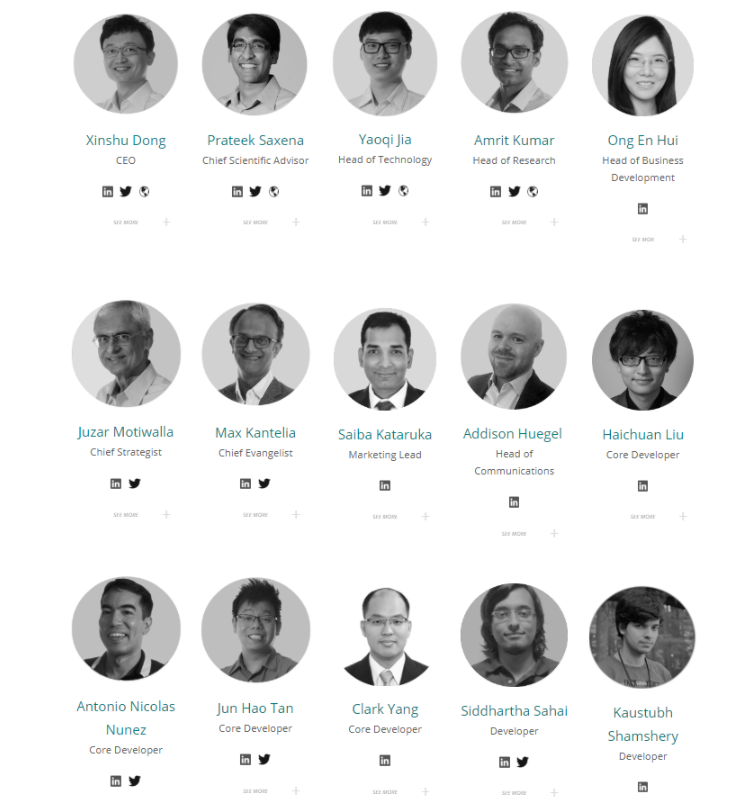 The Zilliqa team has a strong academic background, and 3 of the founders are alumni of the prestigious National University of Singapore. The Zilliqa project even stems from a research project conducted by the NUS. The CEO and co-founder is Xinshu Dong. Dong is an internationally recognized expert in the field of cyber security and has been involved in multiple national security projects for the Singapore government. He is supported by co-founder and Chief Scientific Officer Prateek Saxena, a professor in computer science at the National University of Singapore, the field in which he also holds a PhD. The third co-founder and head of technology is Jia Yaoqi, who holds a PhD in computer science and specializes in network security and distributed system security. The fourth co-founder, PhD holder and head of research, is Amrit Kumar. 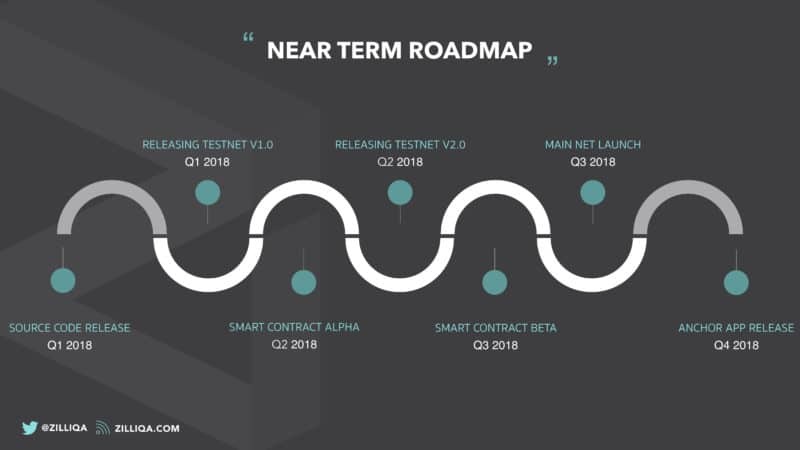 The Zilliqa platform is currently running on its testnet and is scheduled to operate on its mainnet in Q3 2018. Another milestone to look out for is the release of the option to deploy smart contracts on the platform. The Beta will be released in the third quarter of 2018. The team is also hosting quite a few meetups, the time and locations of which can be found here. Until the launch of the Zilliqa mainnet, the ZIL token is an ERC-20 token, meaning it is part of the Ethereum network. Once the mainnet is launched, ZIL will be moved to the Zilliqa blockchain and used as an incentive for miners to verify transactions, pay for transaction fees, and pay for smart contract execution. You can buy the ZIL token on these exchanges. As ZIL is currently based on the Ethereum blockchain, you can store ZIL in any Ethereum-compatible wallet, such as Metamask. 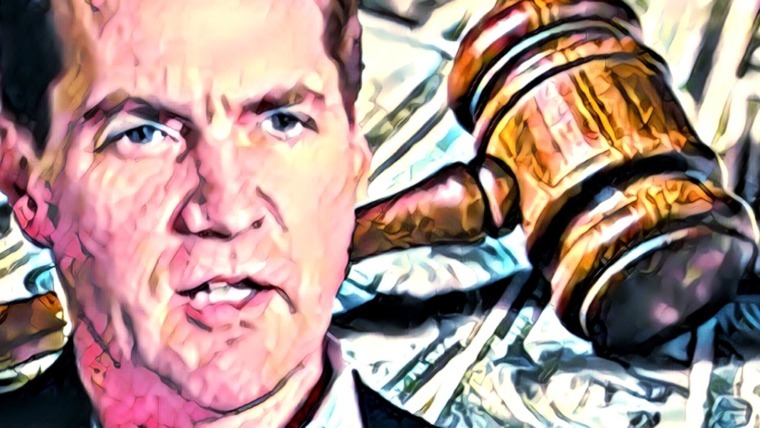 Platform blockchains are incredibly hot right now and Zilliqa faces fierce competition from the biggest networks in the industry, including Ethereum, EOS, and NEO. Although Zilliqa is technologically superior to Ethereum, and to some extent EOS and NEO, it is lacking in terms of projects actually launching on its platform compared to these and other blockchain platforms. Given Zilliqa’s theoretically unlimited scalability, we can assume it’s only a matter of time before the first applications start to create dapps on the platform. Still, it will remain a major challenge for Zilliqa to create an ecosystem that matches the size of several other big platforms in the industry, and in the end, blockchain platforms are valued based on the size of their network. Scalability is a very real problem in today’s blockchain industry, and Zilliqa is offering a head-on solution. The team has already provided evidence for the claims of the uniquely high-transaction throughput of its testnet, which provides good hopes for the speed of the mainnet once it’s launched. For now, the theoretically unlimited scalability of the Zilliqa blockchain is their core selling point, but the platform will likely have to offer more than that to be able to compete with industry giants such as Ethereum, EOS, and NEO. These platforms are rapidly increasing their networks and quality of their ecosystems, as well as coming up with solutions for their scalability concerns. 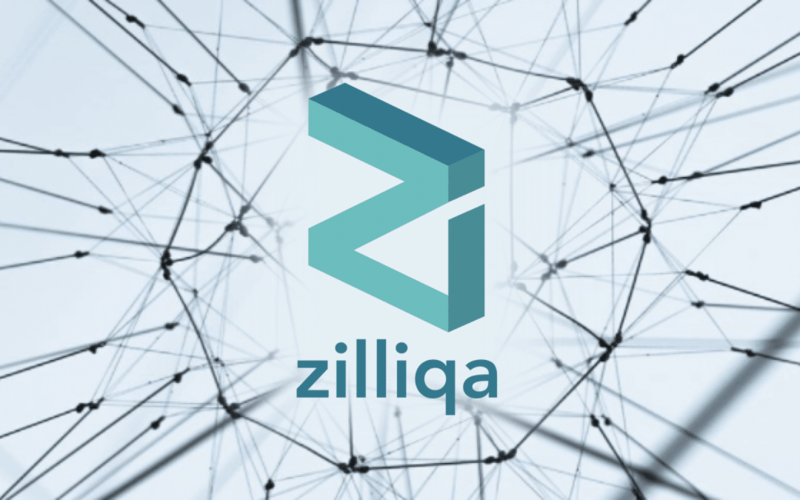 Once quality projects start to partner up with Zilliqa, the platform can have a serious shot at becoming one of the leading platform blockchains, given its technological advantage. Learn more about Zilliqa on their website. You can also follow them on Twitter, and join their Telegram.